September marks a month of new beginnings for many. Students head back to school and many enter college for the first time. It’s no surprise that along with these new beginnings students and parents are concerned with paying tuition and other college costs. This is why September is National College Savings Month. In an effort to raise awareness of college savings, many states and financial institution share resources, knowledge and even hold giveaways all in the name of education. As a result, it’s the perfect time to start funding your child’s college education! The most popular way to save for college is through a 529 savings plan. A 529 savings plan is a tax advantaged savings plan used specifically for education expenses. With a 529 you pay no federal taxes on the investment earnings and many states also allow income tax deductions up to a maximum contribution amount. You can open up a 529 for your child or even yourself to use toward education expenses. Here are some of our most helpful resources covering the ins and outs of 529 plans. Everything You Need to Know About Prepaid Tuition Plans – When it comes to saving for college the options can be confusing. This post discusses all the common questions regarding prepaid tuition as well as state specific information. How Much You Should Have in a 529 Plan by Age – Wondering how your current savings stack up? Check this article to see if your college savings are on target. The Order of Operation for Saving for Your Kid’s College – While college savings is indeed important, it’s not THE most important part of your personal finances. 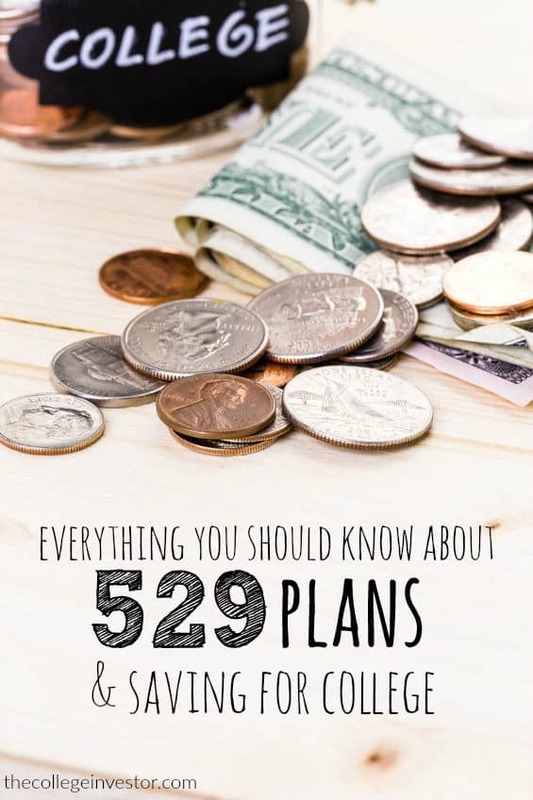 Read about all the things you should have in place before you open a 529 plan. If you’re like me you’re not inherently wealthy and have to plan to be able to save. The good news is that no matter your budget you can find creative ways to save more in a 529 plan. The Power of Starting Small When Saving for College – You don’t have to be super-wealthy in order to save your child’s education. In fact, the small savings you make now can grow into something substantial over time. 4 Effective Ways to Boost 529 Savings – If you think your budget is too tight to begin saving for college you’ll definitely want to check out this post. Learn four effective (and creative) ways to boost your 529 savings. Using a 529 to Save for Yourself – If you are thinking about furthering your education you can open a 529 for yourself. There are many benefits of doing so. Even if you don’t end up using all of your 529 savings you can change the beneficiary on the account. Win $500 Toward College Savings! In honor of College Savings Month, many states offer giveaways and contests for money to go toward college savings. If you’re a California resident, you can enter ScholarShare’s College Savings Pledge Sweepstakes. Each week 5 winners will receive $500 in the form of a ScholarShare gift or College Gift Card. And entering is easy! Share with friends and family for an additional chance to win! The sweepstakes is open to California residents at least 18 years of age. The sweepstakes ends at 8 a.m. PT on Sep. 30 2016. Robert Farrington is ScholarShare’s blogger brand ambassador. While this article was sponsored by ScholarShare, all thoughts and opinions are his own. I have 3 loans with Navient with 3 different cosigners. I have been paying my loans on time and have never defaulted. One of my cosigners wanted to be released from the loan and Navient will not allow me to either release it to my name or to another cosigner. The loan amount for that account is at 10,000. I’ve tried to get my loans to be consolidated by other lenders, but because I am not a US citizen, they will not allow me to transfer the loan or consolidate the loan. Do you know of any lenders that will consolidate private student loans without the requirement of being a US citizen? I’ve tried several places but haven’t found a solution. Your thoughts and advice on this would be greatly appreciated. Since you’re not a US citizen, it is pretty much impossible to refinance without a cosigner. The reason is that student loans rely on the American system of bankruptcy, which doesn’t allow student loans to be discharged. That’s how lenders get protection from people taking out loans without the intention to repay them. Theoretically, since you’re not a US citizen, you could return home and never pay your student loans. As such, lenders will require a US citizen to be a cosigner.